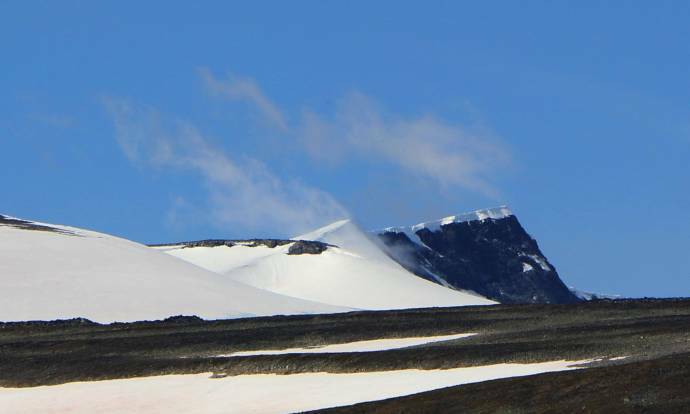 Mobile coverage is somewhat scattered in the heart of Norway's mountains. I had been offline for four days. In the old days someone had to do the 35 km walk each way to carry the mail to and from the place we stayed. Today we have to get up to a mountain top to fetch e-mail. It was windy on the way up and down. And stinging hail. Much calmer at the summit, but white-out. This is getting annoyingly familiar. Zero visibility when I was on Norway's highest peak a few years ago. And before that I've had a couple of attempts to get to both peaks but turned because of snow and white-out. I wonder how many times I have to try before I finally will get a view... These ascends are easy walks (if the weather is ok). I found this really cool website with all kinds of random generators. That website is a lot of fun. On a completely unrelated note, my summer is getting pathetic. I just got up a 2 PM. I need to find something to do. 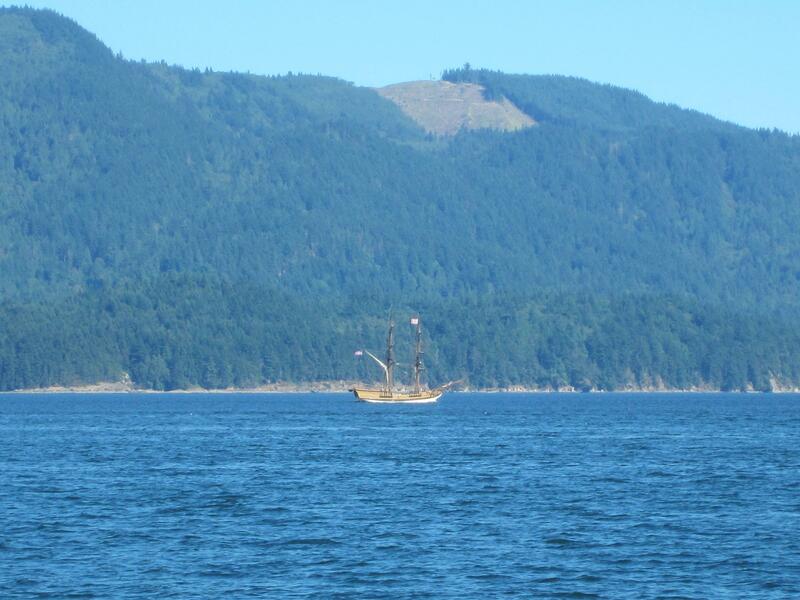 I saw Lady Washington out in Bellingham Bay, WA yesterday. Some might remember it as the HMS Interceptor in the Pirates of the Caribbean movies. No doubt he's been planning to sell to Disney since '77. By now I bet they've started construction on a Death Star using all that merchandising revenue. By now I bet they've started construction on a Death Star using all that merchandising revenue. It was a brilliant stroke of foresight on Lucas' part to retain the merchandising rights. This really is a brilliant scene. No other movie had the spaceballs to do such a crazy thing. I keep having glorious and beautiful sunrises where I live, and the Moon is full too. But I don't have any kind of camera. When your fingers are 50 times the size of the links then it makes things a bit difficult. True, but there's always zooming it. Of course this makes browsing a bit more awkward, but still, it works. Of course this makes browsing a bit more awkward, but still, it works. It also makes it a pain, which is exactly how Doc described it.